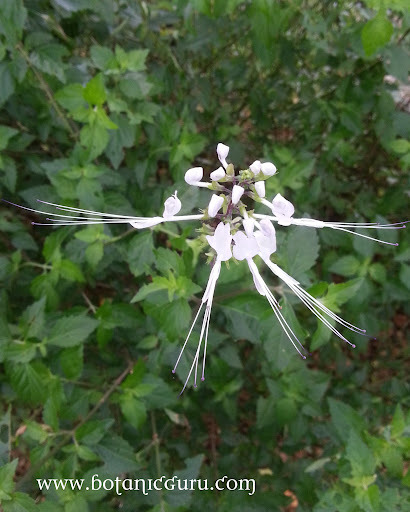 Characteristic: A shrub with clusters of white flowers with long stamens that resembles whiskers. 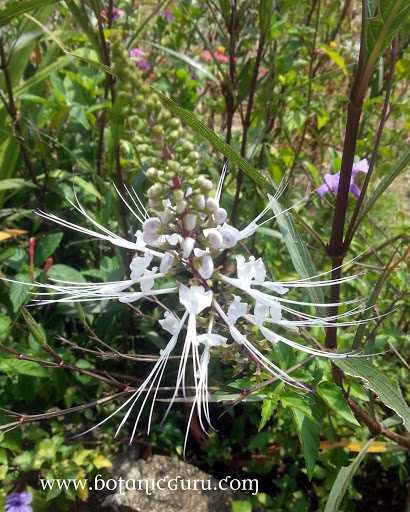 Uses: Medicinal plant for antioxidant and anti-inflammatory. Only leaf of plant are used as other parts may be poisonous.